It has been nearly two decades since Alexa Byrnehouse and Jess Davies married and started a family, and their twins, Emma and Tyson, have now grown to young adulthood. The Byrnehouse-Davies family is one of the richest in Australia, known for its exceptional handling of horses and abandoned boys. Boys like Michael Hamilton, who seems born for trouble. Still, he holds a special place in Alexa’s heart-and he loves Emma helplessly, hopelessly from a distance as he works in the stables. Will their two worlds, now so far apart, ever come together? In prose as vivid as the blue Australian sky, author Anita Stansfield expertly fashions a powerful saga of passion, betrayal, forgiveness, and ultimate redemption. In the end, when lives and virtue are threatened, true love and commitment are put into perfect perspective-and a happy ending is guaranteed! This is everything I hoped it would be and more. 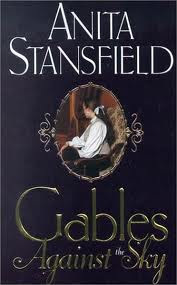 I thoroughly love a good romance novel and a period drama is even better. You know how those historical romance novels are usually pretty cheesy? Well, this one isn't! I'm not sure I would even put it in the same class as a regular historical romance. This is way out of their league! It is totally believable and you fall for the characters immediately. The setting is very desirable. Australian outback, gorgeous rich family, horse racing, and even a home for wayward boys! Emma is my favorite character. She is so strong and smart. Very down to earth. I wasn't so fond of Lacey though. I knew she was going through a lot, but after all she had been given she shouldn't have been acting like that. She really needed to get over it sooner than she did. I fell in love with Michael and Tyson. I wanted more Tyson actually. The plot just kept moving. There was always something new happening and I just fell in love with the surroundings. Author Anita Stansfield writes as if you ARE part of the family. I know them so well. I know where my room is, and where my horse stays, and what we'll be having for dinner. I felt a part of their life. She is a master writer! I'm hooked! Thank goodness there are more books in the Byrnehouse-Davies & Hamilton Saga! I'm in love! If you are looking for a clean, historical romance then this is for you. "With me of course, " Michael stated, hardening his gaze on Emma.